Paint program that never got finished. Dune worked on a commercial version to be released under the Frontier label, but never made it. 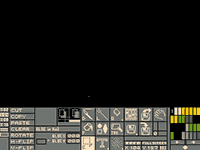 This version was mainly used internally in Dune, but other gfxmen are known to have used it as well.